It's summer! Whether you are on vacation, at the beach, working or just chilling at home here are my top essentials that I think can handy to have in the summer. If you aren't using one of these products in summer you might consider after reading this post. I can't stress enough about sunscreen! Wear sunscreen every single day and reapply every 4 hours if you are going to be outside for a long time. To make reapplying easier invest in a mist with SPF so you can quickly mist while you are out. 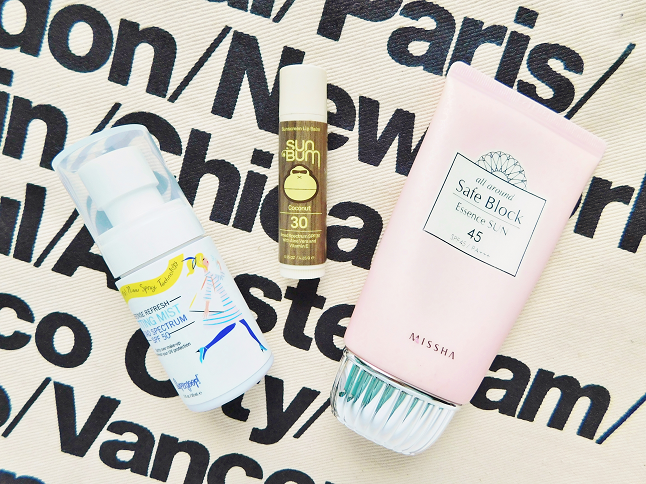 Remember to wear some SPF on your lips too! Sandals are a summer staple. Find a couple pairs that suit your style and wear them all summer long! It's hot in most places during the summer so using cooling products in summer really helps refresh mine under eyes. The coolness soothes my eye bags and helps wake me up. Keep it in the refrigerator for a refreshing kick! Staying hydrated in general is important but especially important in the summer. Invest in a cute water bottle and refill as much as possible throughout the day to stay hydrated. Lip tints are my favorite type of lip product to wear in the summer. They're light, easy to apply and fade beautifully throughout the day. Peripera is known for their lip tints so if you are looking for a new lip tint maybe consider buying from Peripera. Etude House's Dear Darling Tint also has a wide selection of shades. If you don't enjoy going to the beach (like me) but still love the textured beach waves apply some sea salt spray to loose curls for that tousled wavy look. To give your hair volume and texture apply some dry shampoo. 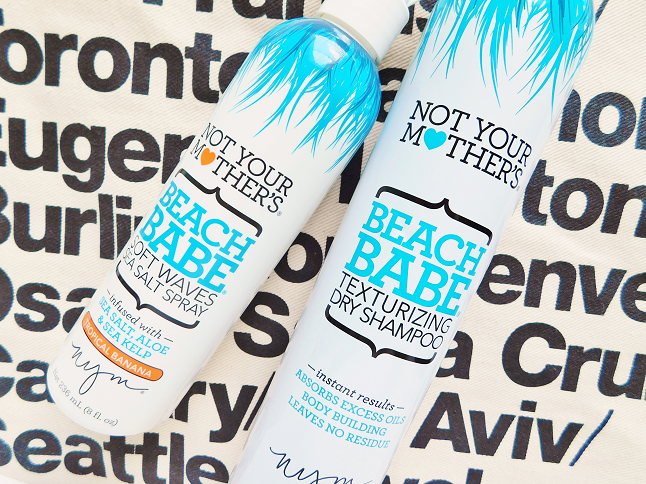 My new favorite dry shampoo is the Not Your Mother's Beach Babe Texturizing Dry Shampoo. It gives the same beachy wave appearance without the effort. To combat your eyes from the harsh sun rays a cute sunglasses is necessary! Heart shaped sunnies are my go-to (I got mine from Target). If you are traveling or just chilling on the beach some reading material is pleasant to have by your side. Get yourself a fashion or gossip magazine (or a book) and chillax.